See the Metro Trip Planner for mass transit directions from your home to ZCLA (ZCLA is a 10-minute walk from the Wilshire/Normandie stop on the Metro Red Line). Exit the 10 (Santa Monica Fwy.) on Normandie. Go North until you cross Olympic Blvd. Just North of Olympic you will see a park on the left, turn right (not quite a full right turn - about 45 degrees) immediately North of Olympic. Look for ZCLA on your left about 1 1/2 blocks North of Olympic. Go South on Normandie Ave, which is between Western and Vermont by a few blocks each way. There is a "Normandie" exit from the 101. Notice that Irolo doglegs just south of Wilshire. 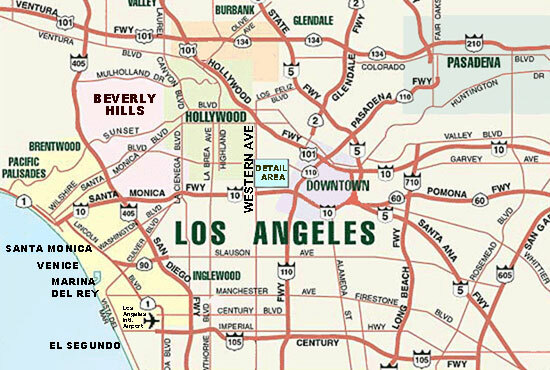 From Wilshire Blvd., you would turn South on Normandie; the name changes into Irolo after the dogleg. On Irolo, you want to go 3 blocks South of Wilshire and turn left on James M. Wood. Go one block East and turn right. Look for ZCLA on your right. Wilshire and Olympic are primary East-West arteries and offer fairly fast travel. Find one or the other of them and head for Normandie Ave, then follow the above directions. Look for the sign out in front! Use the link below to Yahoo Maps for another map and for detailed driving directions from locations in the U. S.